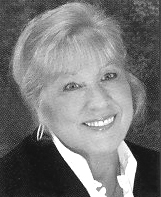 Pat Rogers has been a Realtor in the Pearland area for over 15 years. Now specializing in homes in Silvercreek, she is the premiere Realtor for the community. Assisting buyers and sellers with professionalism, an ear for her clients' needs and a desire to make the process as simple as possible, Pat is highly recommended by past clients! To earn the designation of Realtor®, a real estate agent has taken coursework and demonstrated specific skills, performance and knowledge in a particular area of the real estate industry.